“Mainly we don’t have any answers at all, we have no name, no face to whoever she’s with,” Cox said. According to family members, Heaven may be with a man she met online. “We are definitely looking at those aspects and treating this with a sense of urgency because we definitely want to find her and locate her as soon as possible,” Orange County sheriff’s office spokesperson Janois Grizzaffi said. Autumn Rice’s case is separate from Cox’s case, but Rice’s mother sympathizes with Heaven’s mother. “I feel sorry for that child’s mother, nobody, no parent should experience this,” Christian Rice said. Rice says that there are no leads in her daughter’s case. “I would give anything to be able to hear or see her, watch her laugh,” Rice said. According to 12 News file stories, Rice was walking to West Brook High School when she was reported missing on October 30. Autumn Rice is five foot, five inches tall and about 160 pounds. She has brown hair and green eyes. Anyone with information on Autumn Rice’s whereabouts is asked to call the Beaumont Police Department at (409) 832-1234. Heaven Cox left a note saying she may be headed to California according to a press release from the Orange County Sheriff’s Office. Heaven Ray Cox is a 15-year-old white female with brown eyes and blonde hair cut past her shoulders. She is 5 foot 3 inches tall and weighs about 113 pounds. Heaven suffers from mental illness, according to Cox’s mother. Heaven has a nose piercing and often wears a diamond stud on the right side of her nose. She also occasionally wears a pair of large round rimmed, dark-colored glasses. 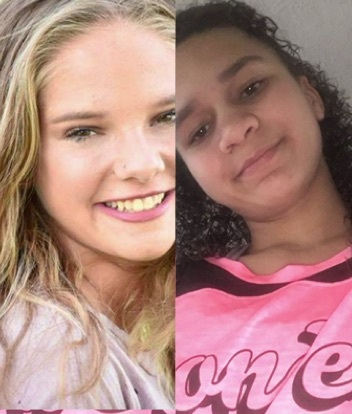 Anyone with information about Heaven Cox’s disappearance is asked to call the Orange County Sheriff’s Office at 409-883-2612.